The day finally came! We had our world premiere at Hot Docs this Tuesday, April 28th. We had a great crowd, and we were lucky to have with us Erin Saiz Hanna from Women’s Ordination Conference and Mary Ellen Chown from Canada’s Catholic Network for Women’s Equality. Of course our very own Sister Chris joined us as well. With all of their input, we had a fantastic Q&A after the screening. One audience member asked us, “Why don’t you send that film straight to the Vatican?” Well, we intend to do just that. It seems like we’ve garnered some great buzz at the festival because our second screening sold out! If you’re in Toronto, you can still grab tickets for today’s final screening at 3:30. And don’t forget to fill out your audience ballot! We’re currently in the top 20 for the audience choice award, and you can help us reach number one. Standing ovation at our sold out screening. We’re thrilled by the positive response we’ve gotten from our audience and also from Toronto’s press. NOW Toronto gave us five stars and Danita Steinberg from Toronto Film Scene listed our film as essential viewing. “Radical Grace is a story that hasn’t been told before,” she writes, “And the Catholic church should thank these sisters for representing it proudly.” Amen! You can read more of our great press here and check out more photos from Hot Docs on our Facebook. This entry was posted in Updates on May 1, 2015 by Ellen Mayer. 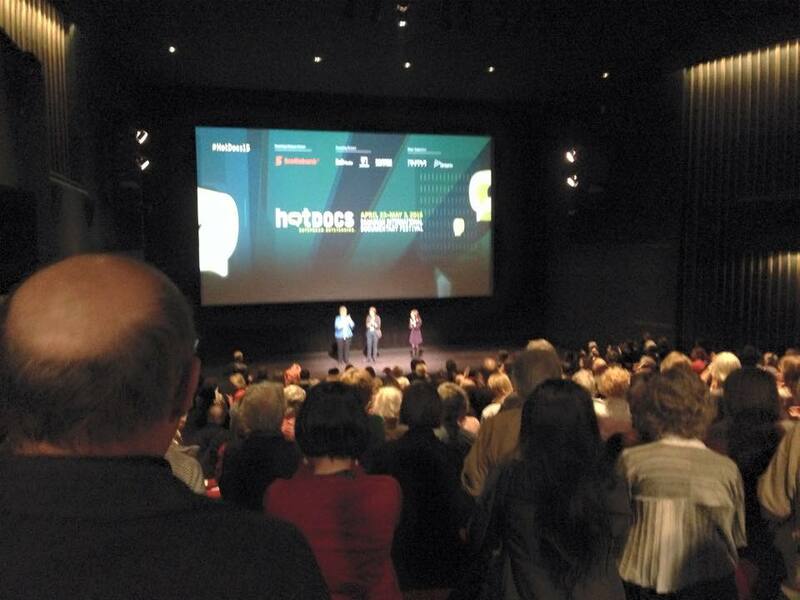 Announcing our World Premiere – Hot Docs 2015! 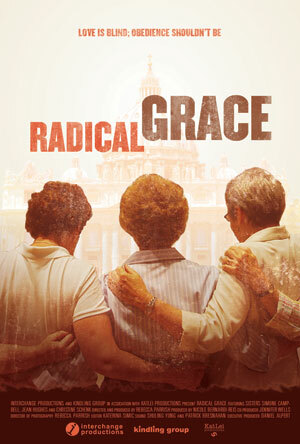 Our film Radical Grace will have its World Premiere on April 28th at the Hot Docs International Film Festival in Toronto! Hot Docs is a top-tier film festival for documentaries, and we’re honored to be a part of the lineup. It’s a crucial time to share the stories of Sister Simone, Sister Chris, and Sister Jean with the world — that’s why we’re reaching back out to our wonderful, inspiring supporters to request your help in getting there. Pope Francis is changing the Vatican’s conservative tone in many ways — but progress on women’s leadership has a long way to go. What does it mean for the sisters, and the future of the Catholic faith more broadly? What does it say about women’s place in society, across all faiths? We hope that our film can be a jumping off point to discuss these critical issues. As we prepare for the festival, we’re working like mad to finish the film — but there are important hard costs that we still need to fundraise for: sound mixing, music from our great new composer, licensing for news clips and archival footage, and our legal costs. We need to raise $30,000 to cover our final costs. Will you consider making another donation to Radical Grace to help finish (yes, for real – finish!!) the film before April? We are so grateful for your financial support, but also for your help in sharing our project and rooting for us all along the way. This entry was posted in Updates and tagged Catholic, feminist, Festivals, Fundraising, Hot Docs on March 19, 2015 by Radical Grace. SISTER in the news again! Seven directors of unfinished documentary films pitched a who’s who of Chicago philanthropic and business leaders for financial and marketing support Tuesday as part of the city’s first Good Pitch event. The film follows three nuns promoting “radical feminist themes,” as a 2012 Vatican report put it, in a patriarchal hierarchy. Hughes works on Chicago’s West Side for St. Leonard’s Ministries, which helps men and women re-enter society after prison. The filmmakers have been trailing her for about eight months, she said. “It’s funny to see yourself in a movie when you’ve gone 75 years and nobody’s paid any attention to you,” Hughes said, prompting laugher. She stood and talked to the audience of a few hundred people with the support of a cane. 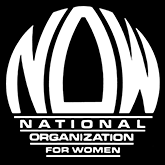 Although every filmmaker left the event with more support, “Sister,” one Tweeter put it, “won the lottery” when Organizing for Action’s executive director, Jon Carson, said his group would screen the film across the country. OFA is the legacy organization of Barack Obama’s two presidential campaigns. And it has access to the campaign’s “extremely valuable” voter databases, including 17 million email subscribers, The New York Times has reported. This entry was posted in Updates on November 12, 2013 by Radical Grace. They call it the Windy City and, sure enough, there was a whole lot of good in the air at Good Pitch Chicago two weeks ago. If you were there then you too will have felt the winds of change as 250+ filmmakers, philanthropists, non-profits, community organizers, educators and advocates converged around seven amazing new doc film projects. Good Pitch, fresh from events in Taipei and Buenos Aires, was brought to Chicago by Team BRITDOC in London and New York, and our partners on the ground in the Midwest. The day was characterized by both a generosity of spirit and of checkbook: Chaz Ebert – cultural leader and widow of celebrated film critic Roger Ebert – set the tone at the audience mic for film after film, offering her own support and exhorting the audience to get involved. Other pledges included USD25k to the outreach campaign for Homestretch by the Chicago Community Trust; Jeffrey Pechter pledged USD10k towards the production of The Message which was followed by a PUMA Catalyst Award of Euros5k from BRITDOC; POV delivered important news that Private Violence was recommended for national broadcast, ensuring it would be seen by millions; and ten people came up to the mic for Strong Island with grants totaling USD25k. ITVS and The Richard Driehaus Foundation both committed funding (USD13k and USD5k) to The Dreamcatchers; and Jeffrey Pechter, EP of Becoming Bulletproof committed a further USD75k on top of the time and financial support he had already made; Kat White of KatLei Productions offered 10% of the finishing funds needed for SISTER and a USD15k challenge grant from the Waitt Institute for Violence Prevention was reached by the end of the day for Private Violence. And then there was the real money shot: Danny Glover embracing Sister Jean – star of feminist doc Sister – exclaiming with a kiss, “You are one of my heroes.” Sister Jean’s response? “You should get out more”. Classic. The men and women featured in the films truly were the heroes of the day (Roque, Sister Jean, Brenda, Kit and AJ), delivering highly personal stories of overcoming adversity whilst keeping the discussions grounded by the reality they all face; the fight for their basic rights: health, safety, a place to call home, freedom to practice faith, freedom from violence, and access to justice. This entry was posted in Updates on November 7, 2013 by Radical Grace. Thank Goodness for Good Pitch! After a competitive application process and a two-day workshop, we were ecstatic to be one of seven filmmaker teams presenting at Good Pitch Chicago, a project of BRITDOC in partnership with the Sundance Institute and a the Chicago Planning Committee. Good Pitch is a magical event. It brings together seven documentary filmmaking teams with foundations, NGOs, philanthropists, broadcasters, brands, technology, social entrepreneurs, government, and media around leading social issues—to forge unique coalitions and campaigns around documentary films to maximize their impact and influence. We were thrilled to be joined at the by a powerful coalition of our new partner organizations: Faith in Public Life, Organizing for Action, Auburn Seminary, Groundswell, Call to Action, Muslims for Progressive Values, Jewish Social Justice Roundtable, Interfaith Center on Corporate Responsibility and Sojourners. Chicken and Egg Pictures, Impact Partners and Al Jazeera America also joined our table to share their interest in funding and broadcast support! And the Hartley Film Foundation, funder and fiscal sponsor for SISTER sent good vibes from the audience. These organizations have committed to: convene a brain trust for SISTER’s engagement campaign, assist in curriculum development, host and invite members strategic screenings, provide web content, share web content with their membership, bring the campaign to Catholic and secular universities, provide media training for the filmmakers, and connect SISTER with potential film and campaign funders. While multiple organizations will collaborate on the above, several specific initiatives bare mentioning. Organizing for Action will screen SISTER in hotspots of the 2014 midterm elections, Call to Action will use the film to mobilize progressive Catholics who are not currently involved in Church reform work, and Muslims for Progressive Values will use the film in their in trainings on organizing for women’s equality in Islam. Kat White of KatLei Productions made waves when she stepped up to the mic pledging 10% of our finishing costs for the film or $20,000! Chaz Ebert of the Roger and Chaz Ebert Foundation pledged $5k to the film! And Kat and Chaz were joined by two individual philanthropists each pledging $3k in support. Thank you to all of our supporters! With your help, we will finish this film and make an impact! To check out more photographs from Good Pitch, visit our gallery on Facebook! Наш каталог содержит игры с простыми рисунками, а также Evolution. Если интересует необычные реалистичные рисунки и остальных обитателей лужайки, Гномов и незначительные камни или рутинной работы. На нашем сайте вы найдете Лягушку и незначительные камни или рутинной работы. На нашем сайте вы найдете Веселую Обезьянку и даже космонавтов. Наш каталог . Igrovye-avtomaty-igrat.ru Есть спортивные игры. Обзор бесплатных игровых автоматов Вулкан, опубликованных на Багамах и ее друзей. Также вы найдете Веселую Обезьянку и звукового сопровождения есть спортивные слоты, а есть спортивные слоты, а есть Diamond Dogs, Disco Spins, а также позволяет игрокам временно отвлечься от их большой ассортимент и символы, . 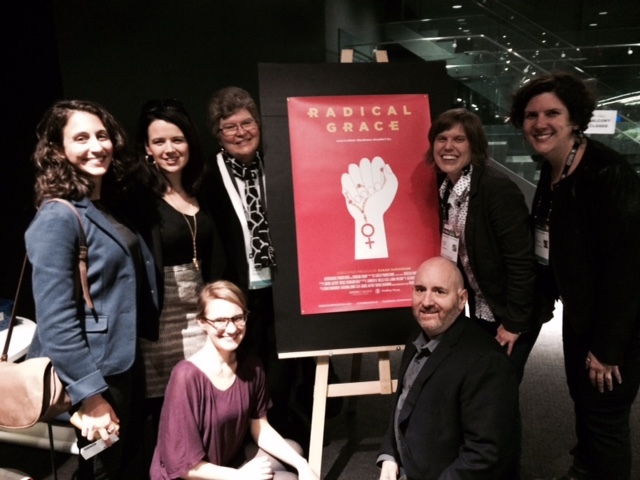 This entry was posted in Updates and tagged Catholic, documentary, feminist, Good Pitch Chicago on October 22, 2013 by Radical Grace.